Greet Van de Perre was born in Asse, Belgium in 1988. she received the degree in Mechanical Engineering at the Vrije Universiteit Brussel in June 2011. 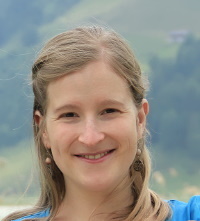 In September 2011, she started a PhD at the Robotics & Multibody Mechanics Research Group, funded by the FWO (Fonds voor Wetenschappelijk Onderzoek). In March 2018, she obtained the degree of doctor in Engineering after successfully defending her thesis “A generic gesture method for social robots: development, validation and use in robot design”. Greet's PhD research focused on how gestures and motions can be effectively generated for social robots with different morphologies. This resulted in the development of a generic gesture software to automatically create joint trajectories for a desired robot morphology. In addition, she developed an actuated upper body for the social robot Elvis, for which an optimal morphology was selected by performing a gesture study using the developed software. Currently, her research focus as postdoctoral researcher is on the use of collaborative robotics in industry.